Statewide regulations for catfish: 6 fish per day creel limit, no length limit. 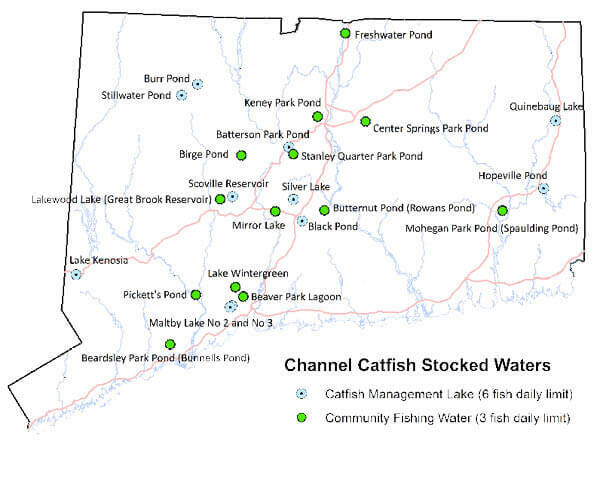 In selected areas stocked with catfish, 3 fish per day creel limit. DEEP and local communities working together to promote natural resources and outdoor recreation opportunities within urban neighborhoods. As part of the community fishing waters program DEEP stocks trout (spring), channel catfish (late spring/early summer), or both, into waters on or close to public transportation routes. 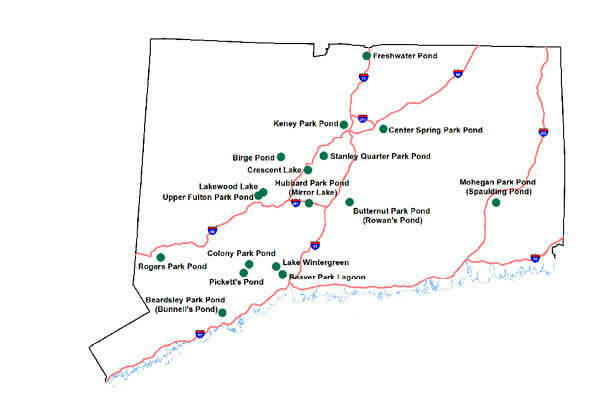 Stocking these waters within close proximity to tens of thousands brings a high quality fishing experience to many CT residents. Be sure to cast a line into one of our Community Fishing Waters today!